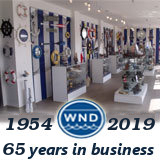 The Hampton Nautical 5” Brass Gimbal Compass is a beautiful reproduction of an antique brass British compass in a handsome brass-inlaid hardwood box. The compass is fully gimbaled. 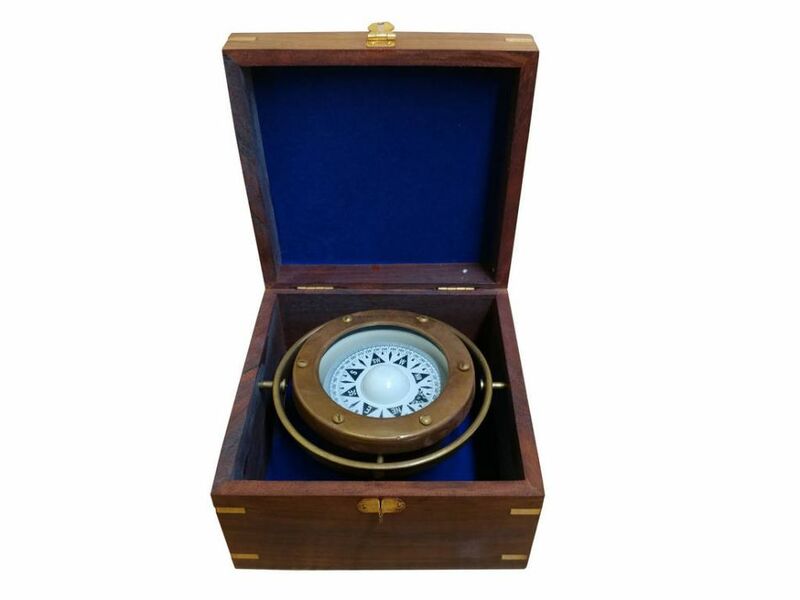 The boxed compass is a beautiful addition to any nautical collection or executive's desk. The front of the felt-lined hardwood case has a brass front clasp and the box's corners are inlaid with solid brass splines. The case is made out of a high quality smooth finish hardwood. The rosewood box has one clasp and a brass filling of an anchor with rope Hampton Nautical embedded in the top of the box.